While starting a new project, dealing with various technologies and tools, server side operations and client side handling seem to be a daunting task at first. The step up of project structure and tools consumes a considerable amount of time. This is where a framework or stack aid in reducing the time as well as speed up the application and software development. MongoDB is an open source NoSQL database, which empowers businesses to be more agile and scalable. MongoDB has a flexible architecture and it supports different data formats. Express.JS is a minimal and flexible Node.JS web application framework which provides us a robust set of features to build single page as well as multipage web along with mobile applications. Node.JS makes routing easier. Get a full spectrum of Mean-Stack development services to build large web applications that changes over time. Hire ReactJS developers to build client-centric front-end experiences to drive innovative business growth. Bacancy Technology is one of the best Mean Stack development company in USA and Canada. 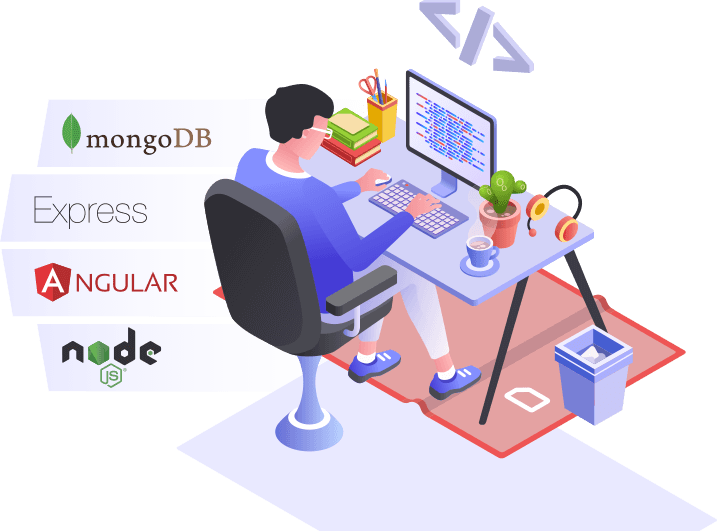 MongoDB Express.JS Angular JS Node.JS are a group of technologies makes a combination of MEAN Stack technology Mobile and Web Applications. In the recent time, MEAN Stack powers a number of complex websites as well as web applications. 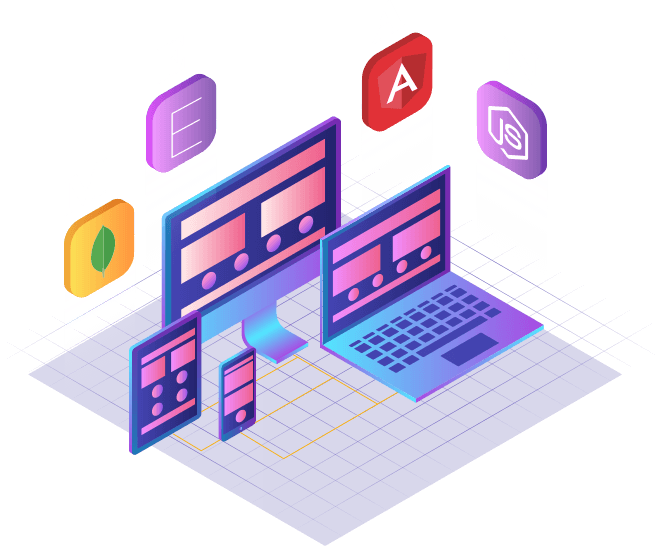 MEAN Stack, being one of the fastest growing open source development framework helps developers with popular tools and reduces the time they spend on system administration and It’ allows quicker deployment of web applications, websites and API’s. MEAN Stack helps developers to concentrate on development. Why Choose Bacancy Technology For Mean Stack Development? Bacancy Technology is one of the fast growing MEAN Stack development company. We make use of MEAN Stack technology for crafting web applications and websites that can transform your website into a more productive as well as effective business. Our skillful MEAN Stack developers are capable of creating websites along with web apps to showcase your business. Bacancy Technology is your MEAN Stack development partner and we strive to build websites and web applications that deliver a rich user experience and has more dynamic features.